Kids love to have a chair all their own! This all foam chair is slip covered for easy care. The poly urethane foam insert is firm and comfy and will hold it's shape! Great spot to read a book or watch their favorite show in comfort. The handle on the back is perfect for moving this chair from room to room. Seat bottom measures 15w x 17d and is 10 inches to the floor. 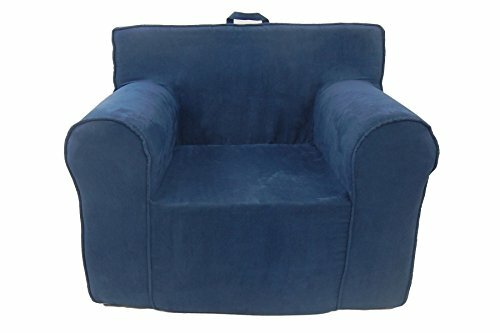 The Ultimate Kid's Chair is the perfect size chair and will be enjoyed by your child for years to come!! Recommended for ages 2 to 10. Can strongly hold weight up to 150 LBS. Proudly made in the USA!